Are you ready to improve your writing? It’s not possible to improve your writing overnight, unless you hire an expert to do it for you. People study the craft for years, decades even, and still they strive to make each piece of writing better than the last. Sure, there might be some quick tricks and shortcuts you can pick up and apply immediately, but these only improve your writing in small increments. If you want to become a good writer (let alone a great writer), be prepared to make a long-term commitment to the craft. It might take time and energy to improve your writing, but it’s actually not that hard, especially if you love what you do. Here are some good writing practices you can adopt to ensure that your writing is constantly improving. Be professional. If you want to be a professional writer, then act like one. Whether you’re sending a submission to an editor or leaving a comment on a blog, always check your work. Practice makes perfect. It goes without saying that if you don’t ever bother writing, your writing will never get any better. 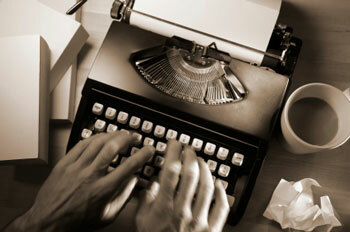 Set aside fifteen to twenty minutes a day and make writing part of your daily routine. Use literary devices. Nuances differentiate good writing from great writing. When you understand literary devices and how they strengthen a piece of writing, you can use them to improve your writing. Read. I feel like a broken record every time I explain that to write well, one must read. However, it’s a simple truth that bears repeating. There are no exceptions to this one. A writer does two things above all else: reads and writes. Invest in your writing. Buy some books on style and grammar. Get a special notebook or a fancy pen. Pick up some writing software (I recommend Scrivener). Start building a library. Spring for a writing class or a professional editor. Participate in your industry. True professionals know their industries. As a writer, you should understand the difference between legacy publishing and self-publishing, know what role an agent plays, and what publishing houses do (and don’t do) for their authors. Get your tools and resources in order. How would a carpenter build without a hammer? Writers don’t need a lot of tools, but they definitely need something to write with, whether it’s a fancy computer or a cheap pad of paper and a disposable pen. Make sure you have any necessary resources on hand too, like style guides, dictionaries, thesauri, and encyclopedia (most of these resources are available for free online). Get inspired. Sometimes inspiration strikes when you least expect it. Other times, you’re begging for it but nothing happens. With practice, you can learn how to foster creativity and generate ideas that will keep you busy writing even when your muse is on vacation. Claim your space. Some writers swear by their writing spaces. You don’t need a cabin in the woods or even a whole room. A small desk tucked into a corner is enough space to get started. Don’t sweat the small stuff. If you’re always getting hung up on every little mistake and stopping your flow of ideas to repair typos and awkward sentences, you’ll wear yourself out (and lose a lot of great ideas in the process). Write now and edit to improve your writing later. But later, make sure you do edit. There’s no excuse for putting messy writing out there into the world. A rough draft is meant for your eyes only (and sometimes, a couple of select alpha readers). Polish your stuff before you show it around. Nothing will improve your writing more immediately than the simple act of polishing it. Pay attention to detail. You’ve heard the saying: it’s all in the details. Give your readers enough details that they can visualize what you’re communicating but not so many details that they’re bored with too much description. Look it up. Not sure which punctuation mark to use? Curious about whether your sentence is properly constructed? Instead of rewriting to escape the tedious task of researching the rule, take five minutes and look it up. Be consistent. If you use the serial comma, make sure you always use it (not just when you feel like it). Don’t switch from plural to singular in the middle of a paragraph. Don’t change tense in the middle of a story. Want help with consistency? Pick up a style guide. Be clear and concise. If your message or idea is getting lost in superfluous, fancy words and language, you won’t be able to communicate with people — at best, you’ll only be able to communicate with the elite few who are fluent in fancy talk. Clear, concise words beat big, fancy words every time. Check your facts. There’s plenty of room for creativity in poetry, fiction, and creative nonfiction, but there are also times when you have to get your facts right or risk being laughed into the discount bin. Stay on topic. We’ve all read pieces of writing that strayed off on some tangent. The writer probably intended to connect that tangent to the main idea, but somehow the connection was never made. Cut that stuff out and the writing will improve drastically. Make sure your final draft sticks with the topic or the main plot. Take breaks. Whether you’re writing a 1000-word blog post or a 100,000-word novel, you have to take breaks sometimes. During a long writing session, take a break to stretch. During a long writing project, take breaks to clear your head, gain perspective, and get your bearings. Work with a mentor. At some point in your journey toward becoming a writer, you should make it a point to study under a mentor who is more knowledgeable than you. You’ll find mentors teaching classes and workshops. 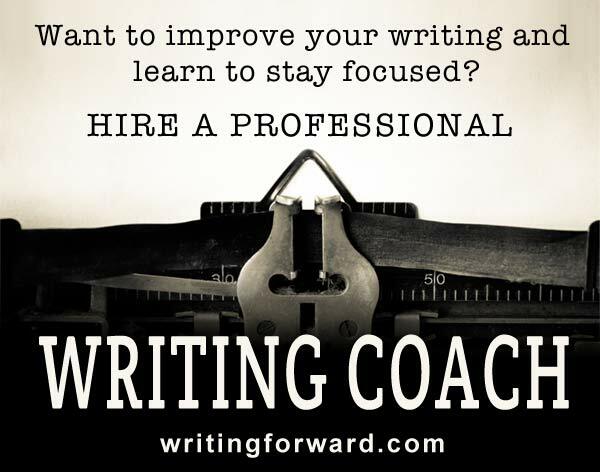 You can also join a writing group, find a writing partner, or hire a writing coach. Expand your vocabulary. We writers love to gush over notebooks and pens, but the real tools of our trade are words. Learn as many as you can. Use them wisely. Know yourself and be yourself. 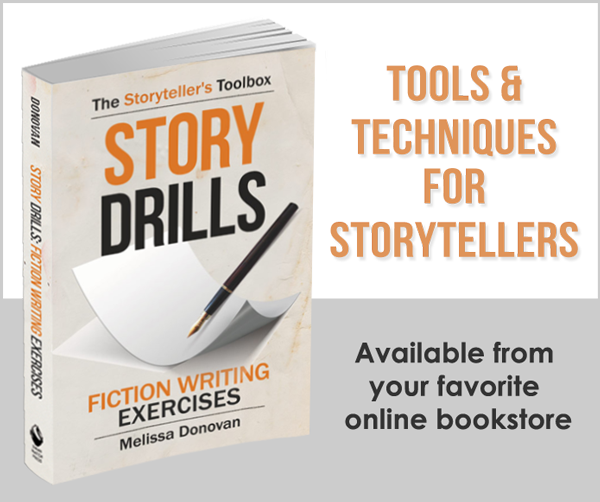 As you gain experience with writing, you’ll find some strategies that work for you and others that don’t. Find which writing process is best for you and then stick with it. And above all, write from your heart. Disinterest will show, so write what moves you, what feels honest and right. Do you try to improve your writing on a regular basis? Got any tips to add to this list? Share your thoughts by leaving a comment, and keep writing! Great tips and points to keep in mind! I checked out your link to Scrivener. I would need to buy the Windows version. Which do you have and do you think I would be at a disadvantage with the Windows version? I can’t speak for the Windows version. I have Scrivener for Mac, and I absolutely love it. I’m not big on buying tons of software (and frankly, I don’t have the hard drive space for it). I put off buying Scrivener for over a year because I have Word and it seemed senseless to invest in another writing or word processing program. But then I got frustrated with Word because it really isn’t well designed for novel writing. Scrivener, on the other hand, is awesome. When I got it, I used the free one-month trial. They probably have that for Windows too. Just getting ready to submit a memoir. Received your email this morning and it was very helpful in reminding me of how important a last once over is. One of the other subjects you advise is reading and I couldn’t agree more. Thanks. Hi June, I wish you the best of luck with your memoir! In my experience, a difficult scene is difficult regardless of how inspired I am. I’ve put off writing a scene (or some other writing project) to wait for inspiration only to find the problem isn’t me being uninspired. I absolutely agree there are times when you’re just off and on days like that, it might be better to take a break and read instead. Problem is, if we’re having a lot days like that, we’ll never get any writing done. I usually try to push through my daily writing session no matter what. If I’m really struggling, I work on something else, like outlining or character sketching (still writing, but not writing the narrative). Wonderful, Melissa! I love all of these. The only addition I might made is 19b: MAKE WRITER FRIENDS. I’m in a weekly critique group. To me, they’re different than a mentor because we’re all peers, but they still help me improve my writing, offer wisdom and support; plus, accountability. After 10+ years, they are some of my best friends. I’ve also made some great writing friends online through blogs. Writer friends rock! Oh yes, being involved in the writing community and building friendships with other writers are definitely important and immensely helpful. Thanks for mentioning it, Marcy!